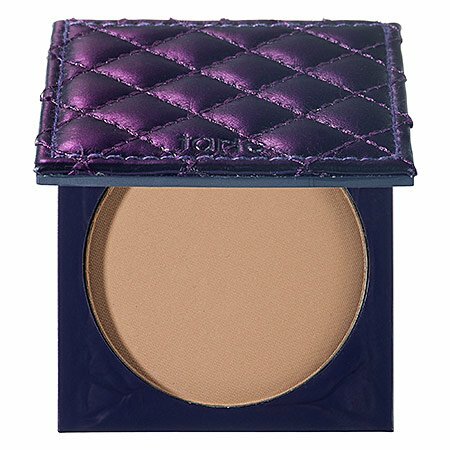 Tarte Cosmetics Powderful Amazonian Clay Pressed Mineral Powder 0.39 oz. Don't suffocate your skin under a thick layer of greasy makeup - let it breath and thrive instead. Mineral Pressed Powder SPF 8 is lightweight and hypoallergenic - perfect for all skin types, including oily and sensitive. It may be applied dry for a sheer finish or wet for heavier coverage. An SPF of 8 gives light coverage from UVA and UVB rays while vitamins and plant-derived emollients hydrate, condition and nourish skin. Your mineral makeup comes housed in a purple compact with a magnetic closure, mirror and separate compact layer for storing your included application sponge. Skin is left looking divine under a layer of semi-matte, breathable coverage. Oil, talc, paraben and fragrance-free. Light is ideal for fair and light complexions. If you have any questions about this product by Tarte Cosmetics, contact us by completing and submitting the form below. If you are looking for a specif part number, please include it with your message.